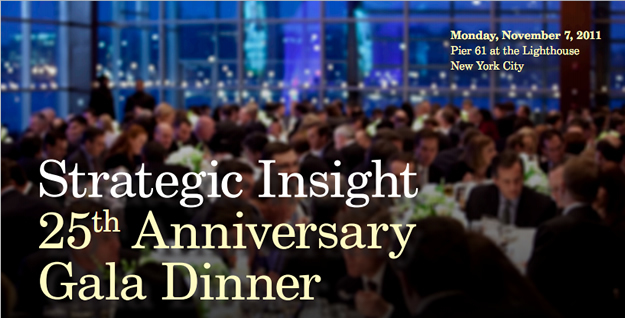 On Monday, November 7th, 2011, Strategic Insight hosted a gala dinner celebrating the last 25 years of the mutual fund industry, and SI's quarter-century anniversary. This gala drew 400 attendees, including senior mutual fund company executives and other industry leaders. At the gala we honored individual "Visionaries" for their accomplishments and outstanding contribution to the foundation of our industry. These leaders were nominated by their peers and colleagues and were selected by Strategic Insight and its "Visionaries" Advisory Board. To find out more about the gala dinner, book your table, please contact Allana Burke at (917) 664-3507 or aburke@sionline.com. Paul Zampitella at (617) 670-4706 or pzampitella@assetinternational.com. 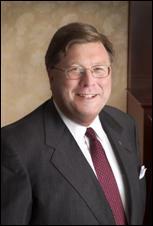 For advisory board members' affiliations, click here.